The stylish La Barra de Carles Abellan in Barceloneta offers seafood-based dishes of impeccable quality – but at a price. It seems like I rant about bar seating in restaurants every other week on this blog. If you’re new, I’ll summarise: I don’t like sitting at a bar when I go for a meal. It kills conversation and it’s usually uncomfortable. So ‘The Bar of Carles Abellan’ (the not-difficult-to-work-out translation of La Barra de Carles Abellan) should, in theory, have pushed all the wrong buttons with me. But it didn’t. For a start, the name is fair warning – complaining about the seating arrangement would be churlish. And second, if you’re going to do a bar-restaurant, do it like this. I should have had some faith, really. I’m a fan of the other Barcelona establishments that chef-restaurateur (and elBulli alumnus) Abellan has been involved with, from Tapas 24 and Bravo 24 to the wonderful Suculent. At La Barra, he’s more hands-on than elsewhere and has literally put his name on the door. The two sinuous bars that run the length of La Barra end in teardrop bulges, with room around them for some semblance of small-group seating. Instead of bar stools there are high chairs that are – hurray! – comfortable, with plump leather cushions and backrests. I’ve read complaints elsewhere about them being slippery but they supported my ample arse without incident. If you find the chairs challenging to mount or remain stable atop of, there are tables with conventional chairs on the terrace. These put you in a prime, port-facing position on Passeig Joan Borbó but take you away from all the action indoors. The glorious interior of La Barra makes great use of the location’s limited space. A charcoal grill on an island between the bars is the main focus of attention, where chef Arnau Muñio performs his ‘showcooking’. Arnau was Abellan’s right-hand man for 10 years at Comerç24. When it closed, he joined the team in Albert Adrià’s workshop but came back when Abellan opened this new venture. Watching him at work is a pleasure. The room’s other main feature, other than the electric-blue glow of the lobster tanks, is a huge double screen that shows the goings-on in the kitchen below in high definition. Fortunately, there’s no sound; chefs should be free to swear and curse without worrying about offending the delicate ears of customers. There is one glaring problem with the layout; to get to the toilets, customers have to go downstairs and cross the kitchen. This is questionable for a whole host of reasons, hygiene issues (real or imagined) among them. At least customers bursting for the loo aren’t shown on the kitchen camera. A word about extraction fans. I was sat right next to the grill and expected to be deafened or smoked out. I was neither. The extractor fan arrangement was heroically well designed. When I remarked upon it, the staff related a saga full of frustration, tears, anger and other human drama involving multiple failed attempts and repeat visits by engineers. All I can say is that it’s worked out fine in the end. The background music was a little too loud but at least it was good. Sharon Jones beats elevator music any day. None of this would matter if the food wasn’t up to scratch. It is. Full disclosure: for this review visit, in June 2017, I was there as a guest. As a result, I ate half-portions of many dishes, and probably more than I would have ordered otherwise. When I return on my own dime, I’ll be watching the costs. It would be very easy to rack up a hefty bill; I would suggest that €50 is the starting point, drinks not included, but you could easily spend €75 or €100 per person, or even more. A fried svaoury cracker somewhat like a tortillita de camerones but with baby anchovies instead of shrimp (€6). Split and skewered sardines, grilled in front of me, daubed with garlic and herbs (€3.50 each). A Barcelona prawn, landed – like almost all the fish here – a few hundred metres away at the Barceloneta fishing port. Grilled perfectly, as is, at it ought to be. Price according to market. Sea cucumbers from Roses on the Costa Brava, served in a spicy onion sauce (€35). Skate wings served in the sauce of a tripe dish made in the style of Madrid restaurant El Fogón de Trifón (€24). “Where does the tripe itself go after you’ve used it to cook the sauce?” I asked. “The staff eat it,” they told me. The staff are getting the best of it. This dish is delicious, and a gateway drug to the good stuff for the tripe-averse, but it left me yearning for the unreconstructed callos original. Strawberries and cream. Simple and sublime, with dollops of milky ice cream within. Looks like Christmas, tastes like summer (€11). And a ‘Doraimon’ frozen sandwich – a small brioche with crunch outside and boozy Nutella core (€8.50). The next time I’m there I’ll re-order a couple of dishes that didn’t come out in the photos: a spicy Andalusian-style aubergine ‘en adobo’ (€8); exquisite, smoke-infused hake cheeks in garlicky pil-pil (€14) and a pretty squid “soasada” (€15) featuring precise knife work that looks like a Rorschach test. The only outright failure was a watery and overcooked scorpionfish stew, in which sad potatoes disintegrated alongside the tough fish. La Barra de Carles Abellan aims high and usually hits the target. One poor dish aside, everything I ate was delicious. The fish and shellfish are of impeccable quality and usually locally sourced. The recipes are interesting, their preparation precise. I liked the use of space, liked the decor, liked Abellan’s own-brand wines (trust the somellier here) and was impressed with the friendly service, led by Carles’s son Tomas. Even when Abellan isn’t there, the talented team he’s assembled keeps standards high. The prices, however, are steep. I know that quality ingredients, especially seafood, comes at a premium, but €3.50 for a single sardine, and €11 for strawberries and cream, is expensive. The rice dish on the menu (€52 for 2 people) is exorbitant. If you can overlook the prices, or don’t mind choosing carefully, you’ll have a great time. I still don’t like eating at a bar unless I’m alone, and I’ll be pleased when the fad has finished, but La Barra comes close to converting me. Abellan has added another worthy restaurant to the Barcelona food scene. 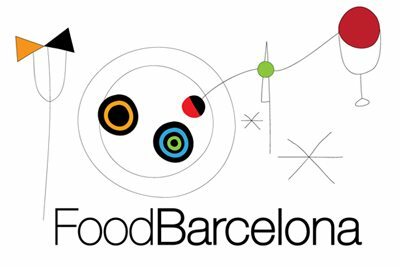 Find La Barra de Carles Abellan on the FoodBarcelona map. Discover other recommended restaurants in Barceloneta, Barcelona.